Old Billingsgate building is celebrating its 140th birthday this year. 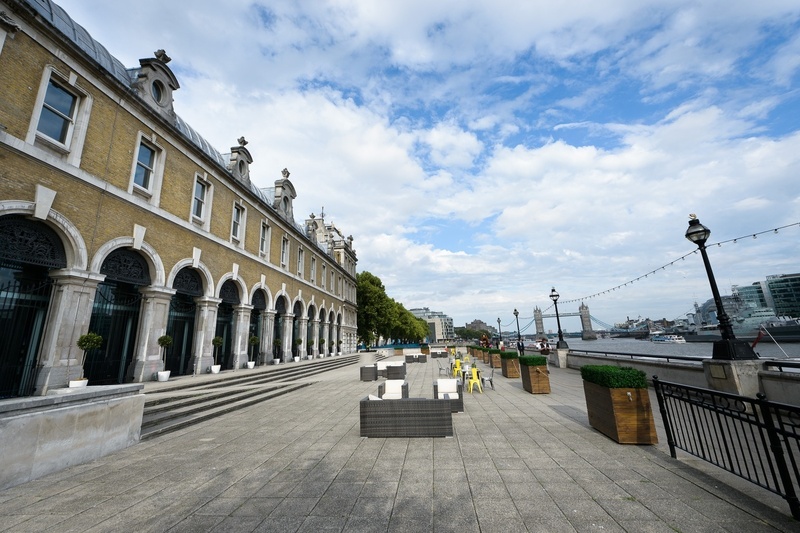 One of our favourite venues, Old Billingsgate is steeped in history. In fact there has been a market at Billingsgate in one form or another since the Roman era, acting as a trade port for items including coal, iron, wine, pottery and other goods. In the late 1600’s Billingsgate was declared a ‘free and open’ market for fish and it became the home to a world famous fish market. Surprisingly, until the first trading hall was built almost 200 years later in 1850, the huge market comprised of nothing more than wooden sheds. A very different picture to the grand building familiar to the most recent Billingsgate workers! They soon outgrew this and in 1877 the new building was officially opened by the Lord Mayor after the famous City architect Sir Horace Jones replaced the old market hall with the much bigger, brighter building. Thanks to the sturdy foundations that were laid as deep as 50 feet below the Thames, this is the same building that still stands today. The beautiful roof of louvered glass and lattice-girders was designed to improve hygiene standards by providing the fish market with plenty of natural daylight and ventilation, while remaining cool to keep the fish fresh. Little did they know at the time that this same roof would provide a striking backdrop for stunning aerial performances and even become part of the Guinness World Record for the most aerial artists performing in unison. By 1982 the fish market had out grown Billingsgate so relocated to a purpose built warehouse in London’s Docklands. Since the refurbishment in 1985 by Sir Richard Rogers, it’s walls have been privy to a wealth of new experiences from absorbing the loving vows of wedding blessings to experiencing the launch of new products, exciting exhibitions, awards dinners and christmas parties. With different events and people bringing the unique open space to life almost daily, it’s no wonder Old Billingsgate has made the successful transformation from Victorian fish market to premier event space!